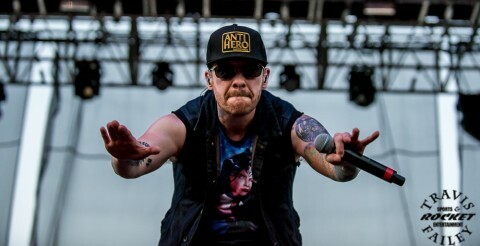 Sunday’s Fort Rock roster transitioned from Saturday’s lineup of old school metal to more of a modern sound on the hard rock scene with Shinedown and Disturbed headlining day 2. First up was a new player on the rock scene in Red Sun Rising, who took the stage at 1:00 on a beautiful Sunday afternoon. 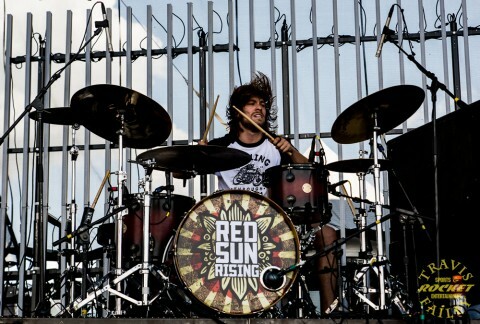 Red Sun Rising is out promoting their third album, Polyester Zeal, which was released in August of last year. 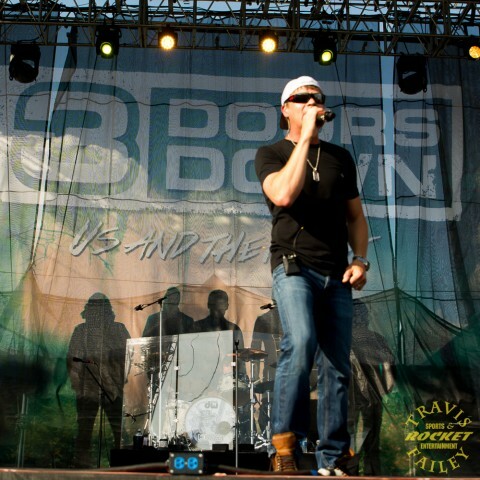 The first thing that I noticed about this band was that their music reminded me of a cross between Stone Temple Pilots and Thousand Foot Crutch with a touch of Creed. 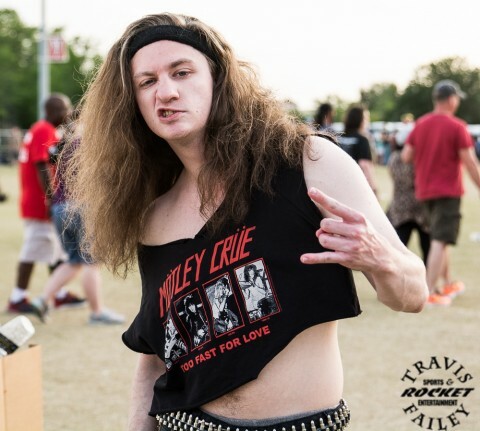 Lead singer, Mike Protich, was definitely a hit with the ladies, and the combination of Protich and guitarist Ryan Williams could prove to be a recipe for success. 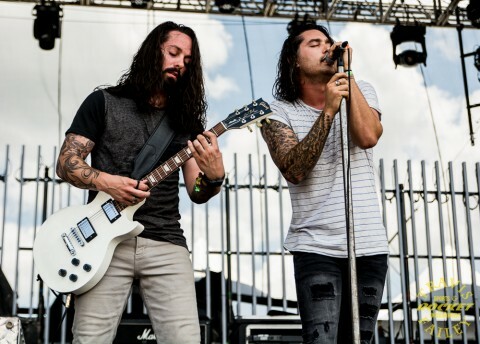 Red Sun Rising played a satisfying seven-song set, including their smash hit, “Emotionless,” “Push,” and “The Otherside.” Each year at these festivals I find myself discovering a band that I think has the potential to be the next great rock band. 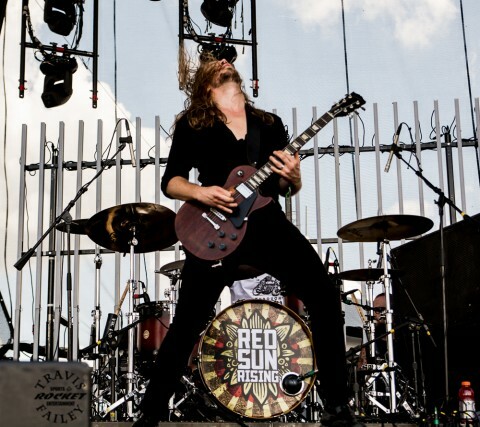 This year, Red Sun Rising is that band for me. 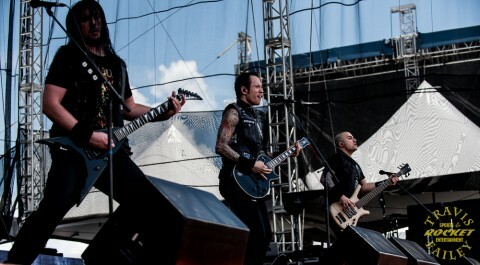 Matt Heafy and the boys of Trivium led off Sunday’s parade of hit-makers, with “Until the World Goes Cold,” ”Silence in the Snow,” and “Dead and Gone.” I’ve watched Trivium grow as a band and along the way, garner new fans. 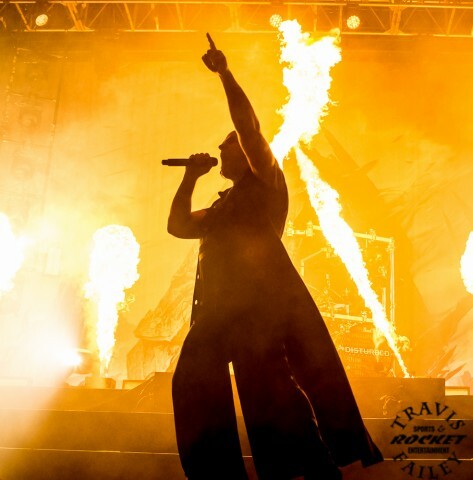 They have achieved this by making a few tweaks to their music, by releasing terrestrial radio singles, and it doesn’t hurt that the guys on Octane love Trivium. 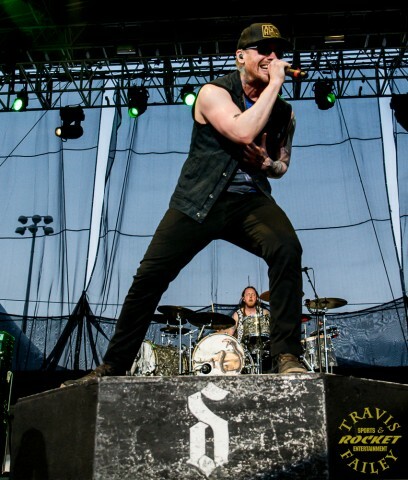 Heafy and his bandmates have an edge to their look and music and this combination is going to take them far in this industry. 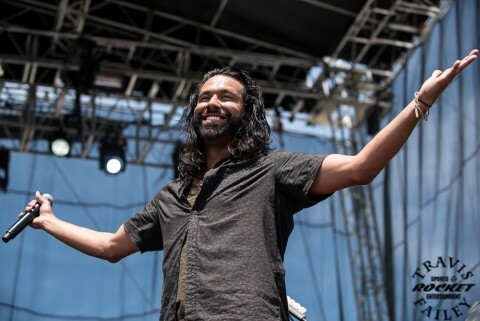 After emo-metal band Asking Alexandria finished their set, Pop Evil presented Sunday’s Fort Rock crowd with another drummer question: Would Cha Chi Riot be performing with Pop Evil, and if not, who would be his replacement? 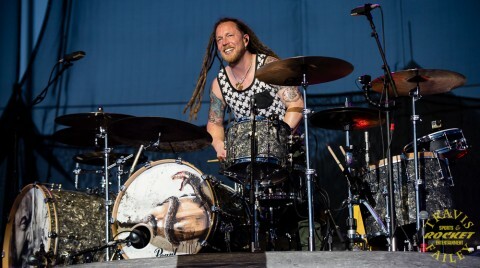 Riot is a complete Animal on the drums and he reminds me of a character from the Muppets with the same name. 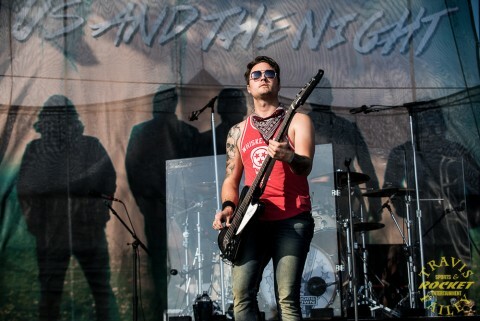 But Riot would not be in Pop Evil’s lineup at Red Sox stadium, as he was replaced by a mystery guest female drummer. 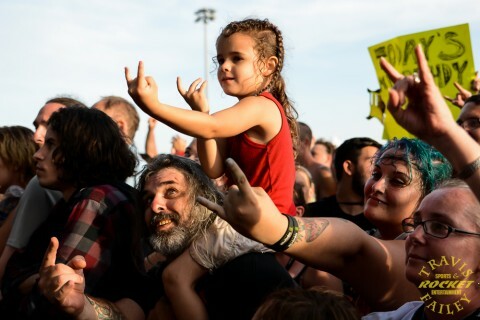 I don’t know if this was a trial run for her because Riot rejoined the band recently. But whoever she is, she was amazing on the skins, and a perfect fit to lead the back line of another band of non-stop touring hit makers. Just as the crowd was getting restless for some aggression, vocalist/guitarist Matthew Tuck and Bullet For My Valentine brought their own version of a “Fever” to Fort Myers. 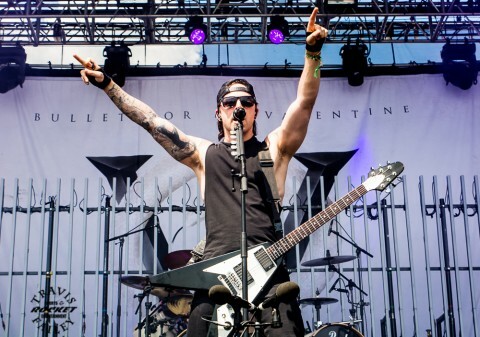 The pits opened up a bit and the crowd surfing was kicked up to another level when Bullet For My Valentine busted out their Guitar Hero classic, “Scream Aim Fire” and showcased the skills of guitarist Michael Paget. 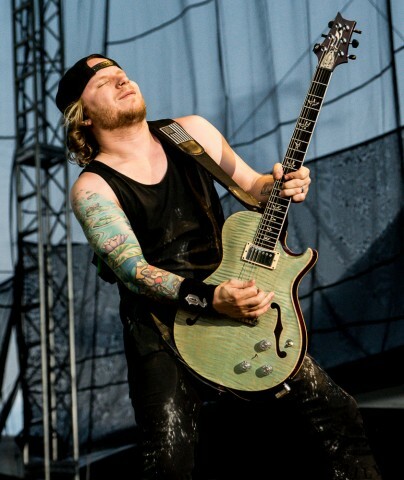 Paget is a rock star and he incorporates his own sound with the playing flare of past and present guitar greats. 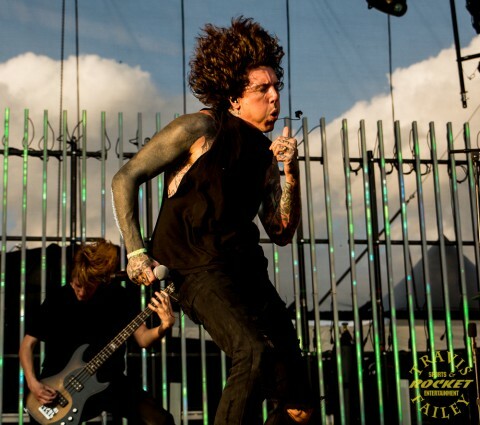 An interesting entry to the Fort Rock lineup on Sunday was the inclusion of Pennywise. Actually it was apropos, as they got their name from another kind of monster, the villainous clown from the Stephen King novel IT. 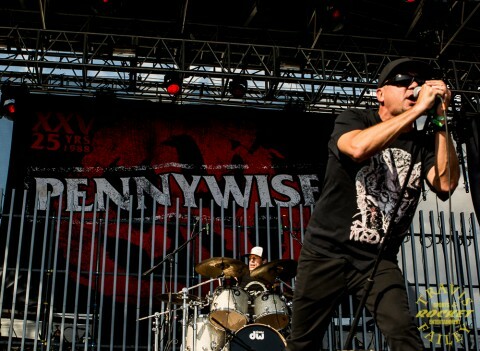 There wasn’t a discernible connection between the fans and the band, but Pennywise performed their own brand of punk rock while celebrating their 25 year anniversary. 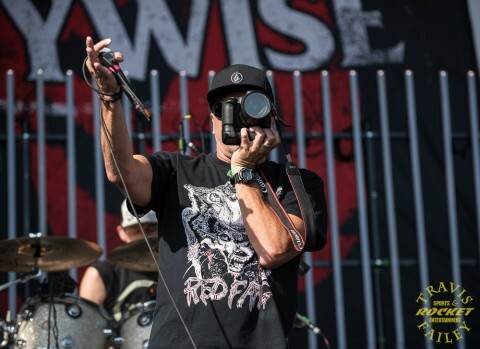 Vocalist Jim Lindberg grabbed a camera from one of the guys in the photo pit, and the question was: is he going to shoot a picture with it or smash it? Thankfully for the photographer, it was the latter. Lindberg took a couple of shots of the crowd, handed the camera back, and the photographer got some amazing photos of the fans. 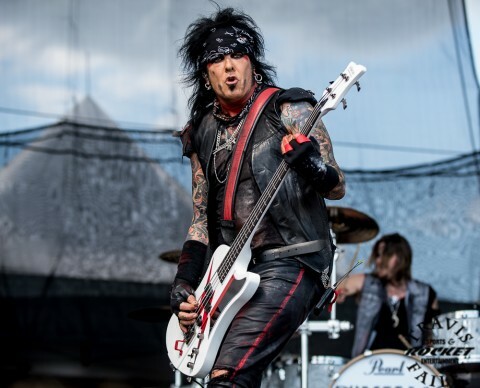 There was a huge buzz among the fans and media for the next band to take the Monster Energy Stage at Fort Rock and that was Sixx A.M. Bassist Nikki Sixx may be coming off his retirement from Motley Crue, but Sixx has been a member of this band since its inception in 2007, and shows no signs of slowing down. 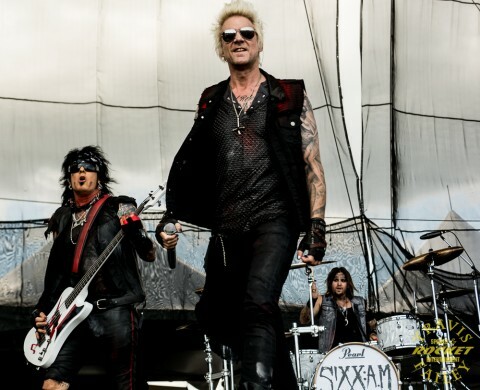 Sixx A.M. has released 4 studio albums, 3 eps, and 7 hit singles. 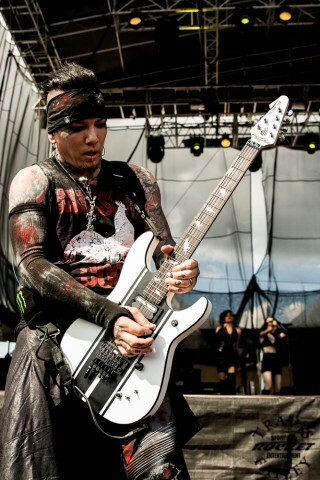 Nikki Sixx looked invigorated playing besides guitarist DJ Ashba, vocalist James Michael and drummer Dustin Steinke. 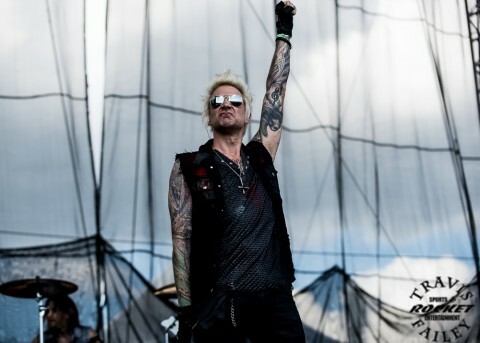 James Michael is Sixx AM’s frontman and during their hit singles “Rise,” and “Lies of the Beautiful People,” his vocals and crowd command was riveting. 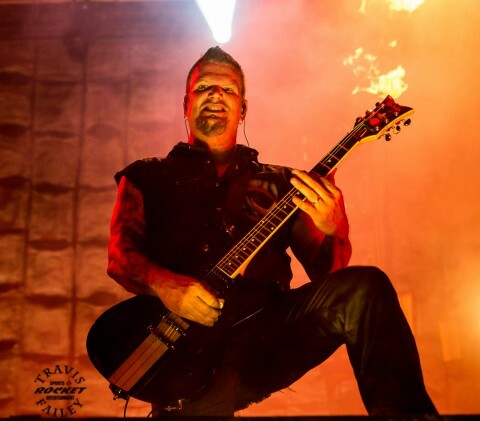 You could see the smile and the positive body language Sixx was projecting, as he doesn’t have to worry about the baggage and the deterioration of skills that plagued his previous band. 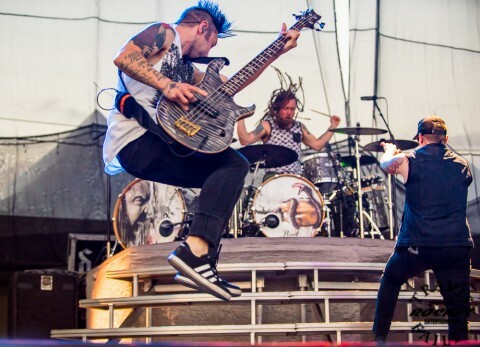 Hit-makers Three Doors Down, and the new kids on the scene, Bring Me the Horizon, led the way to the final two bands of the Fort Rock Weekend: Shinedown and Disturbed. 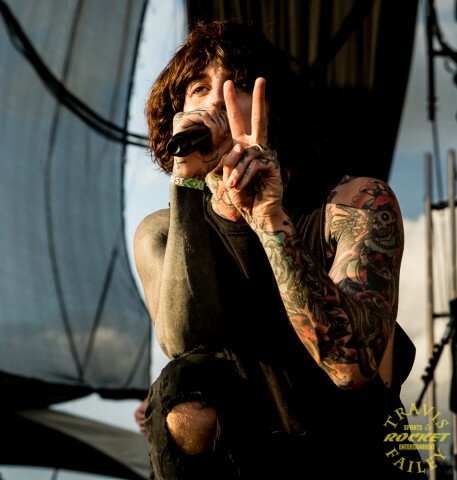 Bring Me the Horizon and their heartthrob vocalist, Oli Sykes, got the girls screaming like they were the Beatles. Bodies were once again being slammed in the pit and catching the crowd surfers was once again the top priority of the security guys at the rail. I can’t say enough about the job that I saw security do this weekend. 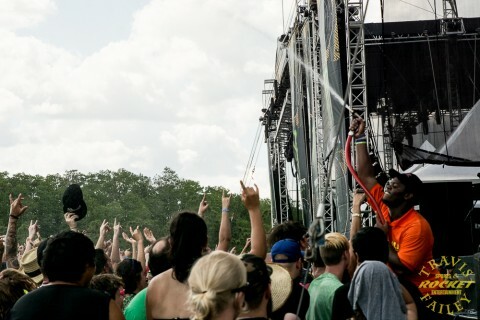 They tried their best to keep the festival patrons safe and hydrated, even if it meant giving them the hose. 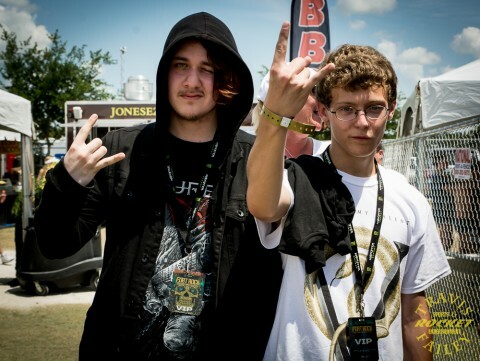 Looking at Sykes and the rest of the guy in Bring Me the Horizon, you would think they were rookies in the music game due to their age. 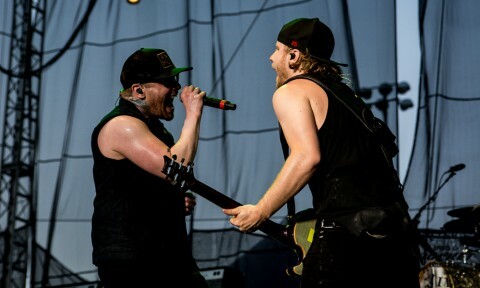 But the fact is that they have been together since 2004 when Sykes and drummer Matt Nichols were ages 15 and 17 respectively, in Sheffield, England. 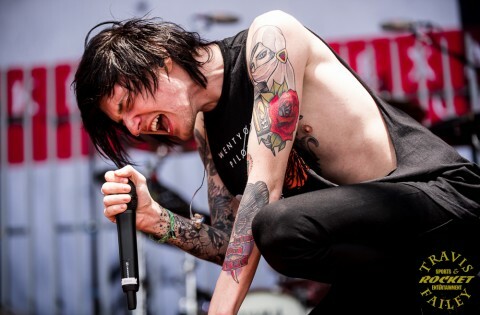 Sykes sports a new trend in tattoos: a blackout sleeve and this seems to be another part of the emo-metal and tattoo trends. Do I get it? No, but then again, others didn’t understand my ink when I got it, and I wouldn’t be surprised if we see a “Blackout Tattoo” challenge on the next season of Ink Master. 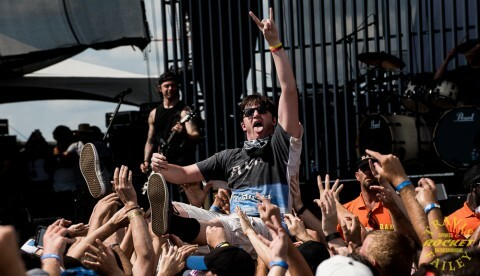 Brent also went down into the photo pit area and high-fived the photographers and gave them props for the job they do. 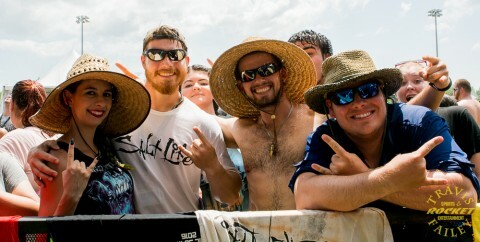 It was a truly a memorable moment for me and those in the photo pit. 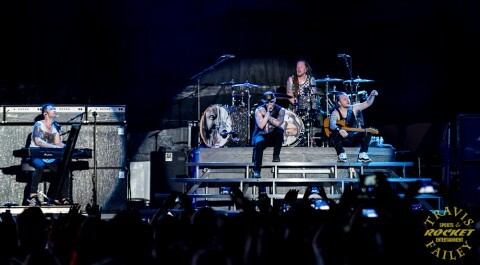 The band made a statement about the press’ inclination to jump to conclusions during a tribute to Prince, and dedicated “Simple Man” to his memory, while thousands of fans held up lighters and phones in unison. It was a special moment that I won’t soon forget. 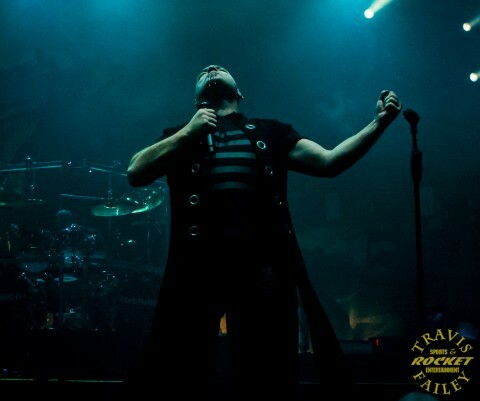 Mixed in were tracks from their comeback record Immortalized in “The Vengeful One” and during “The Light,” Draiman had the crowd lift up their phones. Jet Blue Park was illuminated greater than when the pyrotechnics went off during their set. 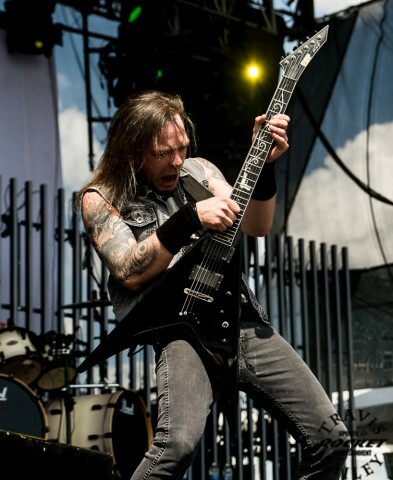 It was awesome to see John Moyer back on the big stage after doing club tours with Adrenaline Mob. 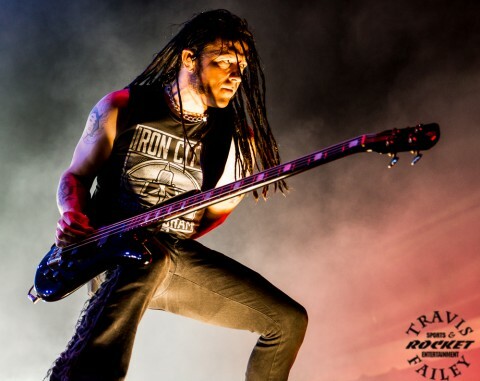 He is underrated and a great showman on bass. 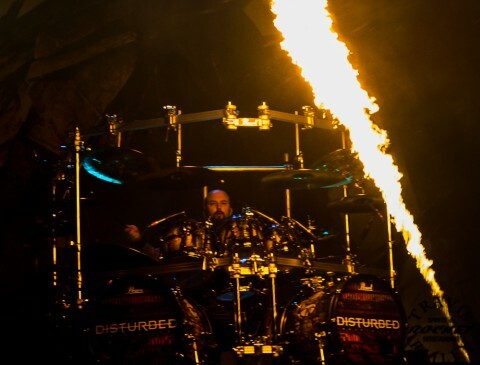 There was a surprise during Disturbed’s set when they played a four-song medley varying from “Animal” by Nine Inch Nails to The Who’s “Baba O’Reilly.” The performance was solid, but not necessary, as Disturbed has an extensive catalogue of songs and hits to choose from. 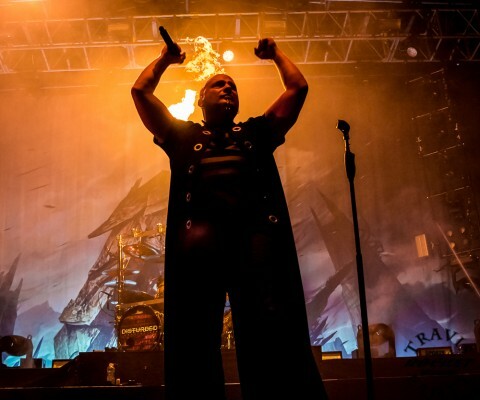 After the medley, Disturbed finished the Monster Energy Fort Rock Festival with a trifecta of hits with “Indestructible” “Voices” and “Down With The Sickness.” Draiman and the boys in Disturbed are back and balance has been restored in the music community. 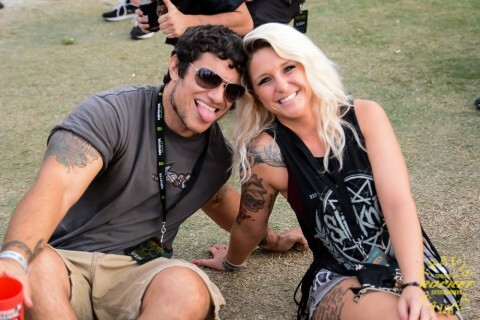 Day 2 of Monster Energy’s Fort Rock was a bit more subdued than Saturday, as the crowd seemed to put the “festival” back into the festival. Sunday brought less mosh pits and more hacky sack, dancing and just relaxing with friends and family. 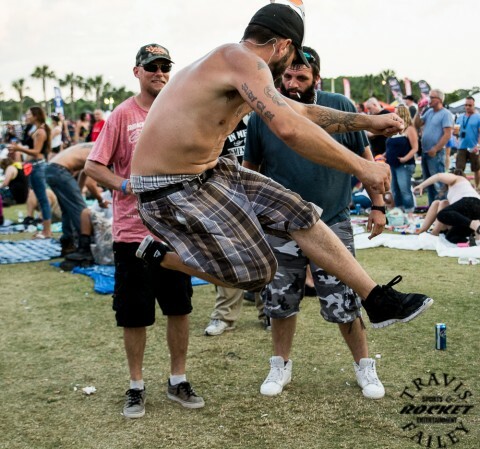 Lee County’s finest stayed on the outskirts of Jet Blue Park and let the patrons partake in the festivities unless they got out of hand. Yes, it was madness at the rail and directly behind it, but we didn’t witness any fights all weekend and there seemed to be fewer people that were drunken idiots. It was an amazing weekend of music and a job well done by the organizers, the production people and especially security. With promoters Danny Wimmer and AEG Live, the future of the Fort Rock Festival is secure, and is an event that I will look forward to attending every year. 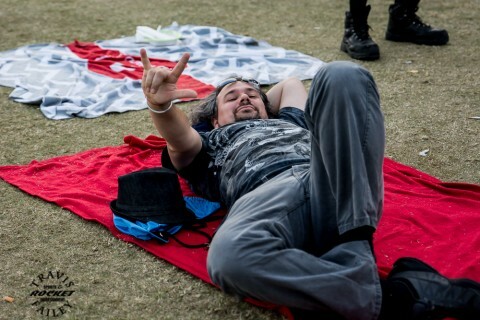 Follow Fort Rock on Face book at https://www.facebook.com/FortRockFestival/?fref=ts and on twitter @fortrockfest #fortrock.